Home » 2013 » Gmail: Are those ads or spam? In a weird turn of fate, we’ve crossed into an alternate reality where the opinions of some are that the new ads being displayed in the new Gmail Tabs are spam and I simply can’t bring myself to call them spam. I see these messages are clearly ads just in a new format for consumption by both the marketing and consumer world. For example, the ads have some similar functions to email, but some very key differences as well that put my opinions at odds with others. 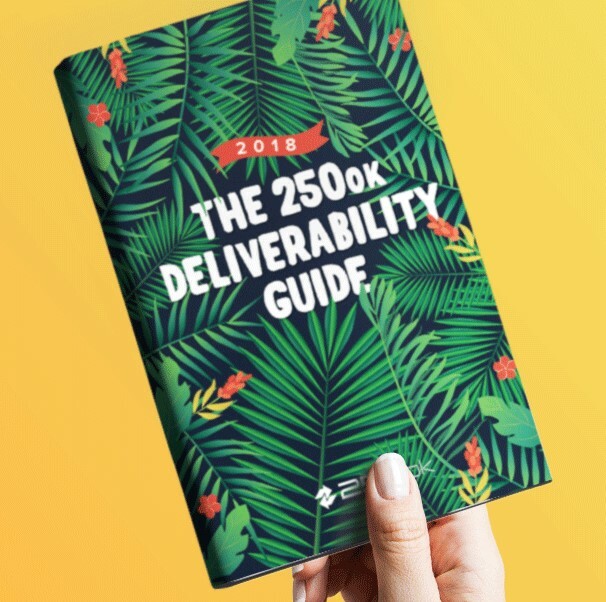 The take by deliverability.com seems to be that Google has found a “neener neener technical loophole” (their words not mine) to deliver unsolicited email-like ads to users inboxes… Google’s Flagrant Violation of the CAN-SPAM Act. The key items that make up an email (according to the Wikipedia and the internet RFCs): “An Internet email message consists of three components, the message envelope, the message header, and the message body.” Reviewing the ads in the gmail promotions tabs we see a distinct lack of two of these three items – there is no message envelope, and no message header to be found, just a body portion (that is really a web page). 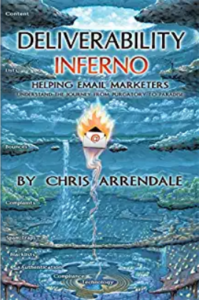 Distribution: The delivery, presentation and targeting methods are based on the keyword integrations of an ad network, not the permission based targeting of a well run email program. Appearance: The Ads are clearly differentiated from the normal promotional emails that gmail users receive; they have a yellow background, multi-lined presentation, there is no date-time stamp, but they do have a ‘close this ad’ option (X), displayed in normal text (not bold), and they display an “Ad” notice under the marketers brand name. CAN-SPAM deals only with Email/SMS and not ad serving. So really, CAN-SPAM doesn’t apply to these advertisements. What will the future hold for the new Gmail ads? I’m not one to predict the future (I’ve been wrong many times before) but Gmail, and Google in general, have a continual testing cycle for their products… this ad product will be no different, it will either be successful and continue, or will fail due to a lack of adoption and use by their advertisers and/or negative interaction from their members. Perhaps enough ad buyers will complain about them, or the FTC will amend or update CAN-SPAM to deal with deceptive advertising on the web (not likely), or maybe another piece of legislation will be put forth to deal with these types of situations (again, not likely). Remember, any type of legislative approach take a very long long time to come to fruition (for example, Canada’s Anti-Spam Law, CASL). It is far more likely the market will determine this outcome. My vote on this – Not Spam. Do you agree or disagree – Spam or Not Spam? Share your take on these ads in the comments below. Matt, you are right from a technical and legal point. However, “clearly differentiated” is subjective. Some users consider it an email, because they don’t check the header to identify an email. They rely on their webmailer to do the job. And if users perceive an ad as an email, and this email as unsolicited, it is spam to them. It seems like half-baked spam. The key point is these ads only “LOOK” like emails but technically they are not so the assumptions that CAN-SPAM or any anti-spam law would apply is invalid. I’m sure there are other “deceptive advertising” laws that would be much more relevant to use as a tool against these ads should the regulators wish to apply some pressure to Google. Hey Matt – we actually included a discussion in our post re: Google being vulnerable to FTC Section 5 which prohibits deceptive business and marketing practices. We mentioned that it’s the advertisers who buy the ad units who are potentially violating CAN SPAM, since as you know, the responsibilities under CAN SPAM all fall on the Sender. That said, we think Google is wittingly facilitating those violations. One thing we also mentioned is that we have seen examples of these so-called “ads” which include unsubscribe links at the bottom. It is problematic for the marketers who include those links because they will not be able to unsub the user. Separately, I’d like to point out that I’ve seen the “subject lines” of the ads appear both with a two-line presentment, and as the more familiar one-line one. This has to do with Google’s experimentation with what’s working or not. I’ve seen the two line versions appear more often lately — possibly because Google is realizing it needs to do better at differentiating the “ads” in order to avoid lawsuits. Last but not least, CAN SPAM doesn’t define the word “email” the way that Wikipedia and Internet RFCs do, since CAN SPAM an act of public policy, and not an internet standard. The specific language defining an email in the Act is as follows: “The term “electronic mail message” means a message sent to a unique electronic mail address.” Technically, the “ads” may not be sent to an email address in the traditional sense (therein lies the “neener neener loophole” stuff), but they certainly ARE placed inside of a user’s email inbox — just like junk mail is placed inside your physical mailbox alongside the stuff you signed up for. End of the day, if it walks like an email, talks like an email, functions like an email — it’s an email. The fact that it’s dropped in a consumers inbox via ad serving rather than SMTP is irrelevant IMO. It’s like saying the laws governing analog radio ads don’t apply to digital radio since they were originally written for analog — it’s totally bogus. Modes of message transmission will constantly evolve — and that shouldn’t be at the expense of consumer protection laws and policy.